When is WhiskyFest Washington, DC? 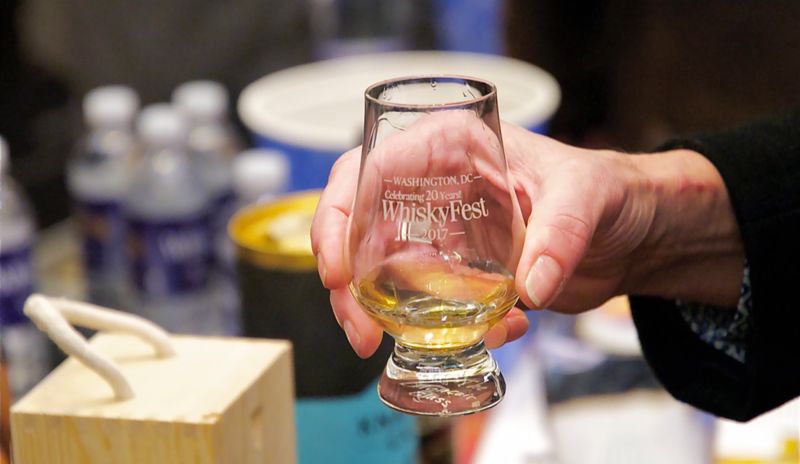 The 2020 date for WhiskyFest Washington, DC is to be announced. How much do tickets to WhiskyFest cost? Pricing for the Spring 2020 events has not yet been determined. Tickets to our Spring 2020 events are not yet available. What is included with a General admission ticket? General admission ticket holders will receive a commemorative Glencairn crystal nosing glass, program booklet and pen, gift bag, admission to all seminars at no additional cost (on a first come basis), a gourmet buffet throughout the evening, a one-year subscription to Whisky Advocate magazine (existing subscriptions will be extended) and, of course, over 300 whiskies to sample. What’s the difference between a General admission ticket and a VIP ticket? In addition to what General admission ticket holders receive (above), VIP ticket holders receive admission to the event one hour earlier. This allows additional time to enjoy tasting and talking with the folks behind the booths. Where is WhiskyFest Washington, DC being held? What time does WhiskyFest start? For VIP ticket holders, registration begins at 5:00, and entrance to the ballroom is at 5:30 pm. For General admission ticket holders, registration begins at 6:00, and entrance to the ballroom is at 6:30 pm. What time is WhiskyFest over? Last pour is at 9:25, and the event ends promptly at 9:30 pm. What should I wear to WhiskyFest? Most commonly, business or business casual attire. Do I need to bring a glass with me? No, a Glencairn crystal nosing glass will be provided to you at registration. It’s yours to use for the evening, and to take home with you. What if I lose my nosing glass? If you lose your nosing glass, we’ll have wine glasses available in the ballroom for you to use. Sorry, we will not replace any lost or broken nosing glass. There’s a whisky on your list that I want to be sure to try. How can I find out which booth is pouring it? There are two whisky lists in your program booklet, provided at registration. One list is alphabetical by the brand name, and will tell you at which booth you find each whisky. The other lists all of the whiskies by booth number. There’s also a diagram in the program. In addition, our WhiskyFest app will include a ballroom map and whisky list that is searchable by brand or type of whisky. Look for an announcement coming soon about the launch of the 2019 app. The venue does have parking available, however we encourage the use of public transportation. Better yet, stay at the hotel where WhiskyFest is being held; we have arranges a room block with a special rate (see next question). Can I stay at the hotel where WhiskyFest is being held? Yes, in fact we prefer you stay there, and not drive after the event. We will arrange a room block at the hotel where WhiskyFest is being held, and we’ll post the details here when they’re available. There is a seminar I want to attend. Do I need to get a separate ticket for that? Seminars are included in the price of your ticket. Seating is on a first come basis. Please consult your event program (you’ll receive one at Registration) or download our app when available, for seminar times and locations. Do I need to use vouchers to get tastes of the whiskies I want to try? We do not use vouchers for tasting at WhiskyFest. I bought a ticket for my buddy, and he can’t come. Can I get my money back? Unfortunately, tickets are not refundable. Maybe you’ve got another buddy who would like to go to WhiskyFest. I lost my ticket. Can I get another one? You can contact ShowClix for their help with any lost or stolen tickets: 888-718-4253. When the event is sold out, can I still buy tickets? When we declare an event “sold out”, we are really sold out of tickets. We have no more to sell. How can I get the most up-to-date information about the event? Sign up for our newsletter to receive the most up-to-date information about WhiskyFest here, and check WhiskyAdvocate.com for all the latest news about upcoming events. I’m a member of the press. Do you reserve tickets for press? Do you sell tickets at the event? We do not sell any tickets at the door, however, you may buy tickets online if we are not sold out. Do you offer tickets for designated drivers? We do not offer Designated Driver tickets. Can I pay for my ticket with a check? We do not accept checks as a method of payment for WhiskyFest tickets. All ticket orders must be paid for by credit card. If I promise not to drink, can I come to the event if I’m under 21 years of age? No one under the age of 21 is permitted inside of the event area. There will be no exceptions, and security will be checking IDs at the entrance. Yes, there will be a coat check available at the event. May I bring my briefcase with me? Backpacks, briefcases, tote bags, or any other such items, are not permitted inside of WhiskyFest. You will be asked to leave them at the coat check. A gourmet buffet is provided throughout the evening, and we encourage you to eat from time to time. Will there be coffee or soft drinks available? Water will be provided throughout the evening, and we’ll also offer coffee, tea, and soft drinks. I have a suggestion on how to improve the event. Who do I contact? You may contact event director, Joan McGinley by emailing joan@whiskyadvocate.com, or event assistant, Laurie Barata: laurie@whiskyadvocate.com.